It isn’t a secret — schools today need additional funding for activities. And selling meals and snacks to students is a popular way to raise this much-needed money. But the challenge is doing this without undermining the school’s own lunch programs, stepping on the toes of community businesses, taking away from class time, and tying-up resources best used elsewhere. The success of a school’s fundraising efforts must be measured not just in dollars raised, but in the goodwill and benefit to the school, the community and most importantly to the health and well being of the students. I know of one school’s “successful” fundraising program that has so far generated nearly $20,000 for the school. A pretty hefty sum that can go a long way to supporting activities and programs at the school. But we have to ask, at what cost? This fundraising program is based on bringing in outside fast food products to sell to the students during lunch hours at the school. Perhaps that is just fair competition you say—giving the kids what they want. But what must be considered, is the health and nutritional needs of the students. These products are not sold in the cafeteria, so they are not technically required to meet healthy nutrition guidelines. Not only that, but this type of program can do real damage to the school lunch program itself, as far as its ability to meet requirements and funding guidelines that are based on increasing—not decreasing—school lunch participation rates. Perhaps of even greater concern, is the negative message that this sends to all students about the desirability and quality of the school lunch menu. Smart Mouth Pizza is a strong advocate of school fundraising. In fact, we support numerous programs, both in school and out of school, to help fund student activities, including our School of Excellence Student Video Competition, Game Day Pizza sales promotions, and still in development a Smart Mouth Pizza Kit Program. We’d love to hear any ideas you have for us to help in fundraising in your schools and districts. 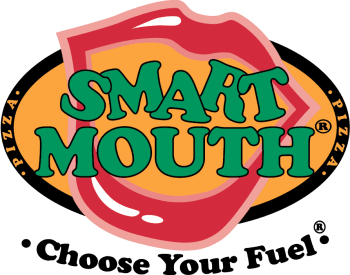 Smart Mouth Pizza is committed to increasing the involvement of students in positive ways, and to increasing overall participation in school nutrition programs, by offering cafeteria choices they like and encouraging them to eat lunch at school. 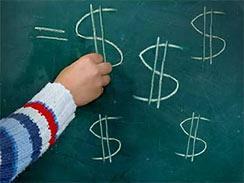 Let’s challenge students and school administrators to raise the bar on raising funds! And let’s encourage more vendors to do what Smart Mouth Pizza does—support schools with creative fundraising programs that don’t compromise on nutritional standards or overall lunch program participation. That’s the best way to ensure a healthy extracurricular budget, a healthy school lunch program, and healthy students! Tom Willingham is President and Founder of Bulls Eye Brands, Inc., and the Smart Mouth School Lunch Program. We welcome your comments.